Last weekend was the first ever BCSS GameJam event hosted in 1 West. The event was a collaborative effort between BCSS and Bath Spa’s Creative Computing department to bring both universities together to design and implement a video game in mixed teams over the weekend. We had two industry experts - Claire Morley and Alexander Birke - as well as Bath Spa lecturer Lee Scott and University of Bath lecturer Dr Jo Hyde to help the students throughout the weekend. The event took place from Saturday 9 to Sunday 10 March and had roughly 25 attendees, the majority being Bath students with some Bath Spa students attending too. Each of the seven teams produced a workable video game over the course of the weekend. Organised by Jack Pendlebury, BCSS Education Leader. This year, the third edition of LaunchPad was hosted in Chancellors' Building across the 2 and 3 of March, where 100 of the university’s most creative students from all departments ideated and created websites, apps, and hardware products in an intense 24-hour session. Last weekend, the event was concluded with the first ever Demo Day, where the top teams from two semi-finals were asked to pitch to the full panel of judges with a full audience behind them. The finals saw some ground-breaking and innovative ideas come to life. From a tech demo involving Amazon’s Alexa, an Augmented Reality helmet visor to a language translator to help people with food allergies. Six teams presented in front of an audience and an array of judges to clinch the top three awards for the day—Best Pitch, Best Tech and Best Overall. The teams chose to work on different problem domains and managed to come up with either new ideas or their own version to an existing solution all in 24 hours. 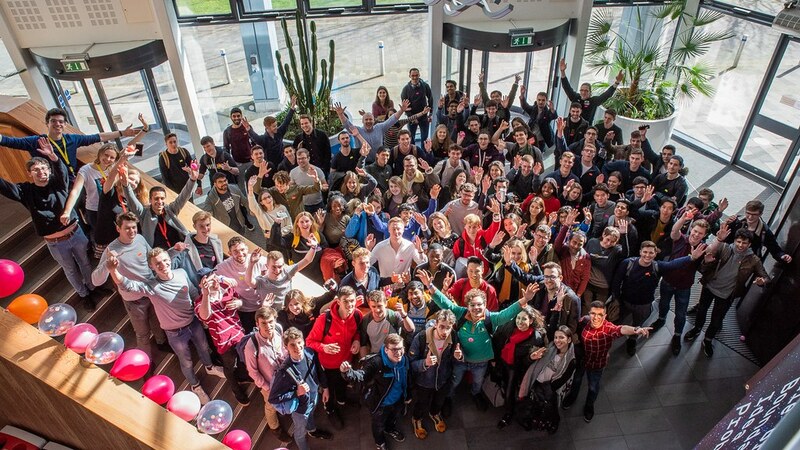 This weekend Bath Computer Science Society, alongside 15 other Universities over 200 attendees, participated in the first Hackback Capture the Flag hacking competition. Over five hours, 28 students in six teams took part in online tasks, hacking their way past everything from webpage login forms to encrypted servers. The winning Bath team, __teamname, consisting of James Lake, Jake Mifsud, Matthew Allington, and Tom Lancaster, placed 18th nationally! Students were given points for solving tasks, with bonus points awarded to those who could solve the tasks before anyone else. Alongside teaching students valuable cybersecurity skills and providing experience, sponsors Context Information Security, StickerMule and CrowdStrike also provided the opportunity to interview for summer internships for the winning team. The hacking took place on the TryhackMe.com education site, which supports cybersecurity education through tutorials and challenges for any and all interested in cybersecurity. Organised by Matt Buckley, BCSS Webmaster with support from Professor James Davenport and Keir Mobbs from the Department of Computer Science.